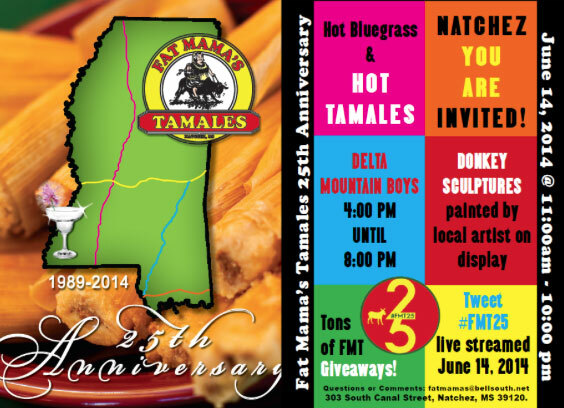 Fat Mama’s Tamales will be celebrating 25 years in business on June 14, 2014! We are packing the day full things and hope you will stop by, say hello, relax, and celebrate with us! We will have live music from 11:00 am – 3:00 pm and from 4:00 pm until 8:00 pm. 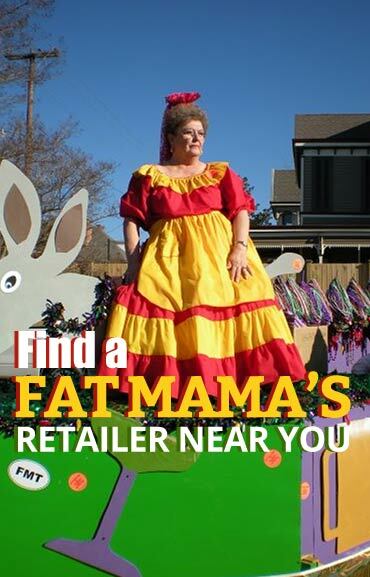 We will have our beer garden up and running outside with shaded seating, tons of cool FMT gear to give away, Five almost life sized donkey sculptures painted by local artist on display, The Krewe of Fat Mama’s will be on hand, We will live stream tweets that use #FMT25, and more. I wish I could tell everyone about the cool FMT gear to give away, but you will have to wait until June 14, 2014, but we tried to make sure we got some unique stuff to give away to everyone! The artists who are painting the donkeys are Aimee Guido, Tim Givens, The League of Extraordinary Artists, Maggie Dean & Sim Hicks! They each have spent countless hours working on these paintings, as they are roughly 55 inches long, 40 inches tall and 14 inches thick, and have various surfaces and angles that have required a lot of planning on top of the amount of time to paint each one! We have pretty much asked each artist to plan, design, paint, and delivery these sculptures to Fat Mama’s with almost anything they wanted to portray, we did offer some suggestions, however we have not seen any of the donkeys while they have been and are getting painted, and we made sure to let each artist know that they are free to design and paint these sculptures as they see fit. It is our hope to display this painted donkeys around town at select locations to be determined, once we have revealed them on June 14, 2014! We are still working on the beer garden menu, but it will feature regional craft beers from Mississippi and Louisiana, and inside we will have our 8 taps running a variety of brew for you to choose from. 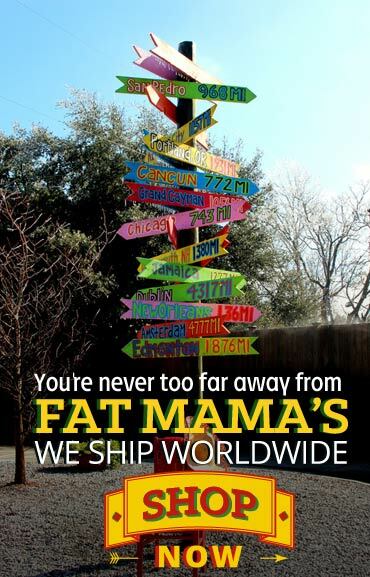 As always we are ever so thankful for everyone support over the last 25 years, and with out you, all of Fat Mama’s would never had grown into what we are! 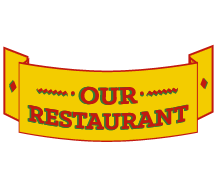 We look forward to seeing everyone on June 14, 2014! P.S. 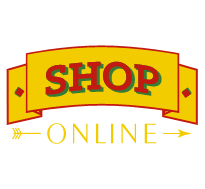 Finally but certainly not least, we will have discounted food & beverage items all day!